The Moonlight Enchantment merchants have new items available! All sorts of trees and shrubbery based on Ethernere foliage can now be purchased. Moonlight Enchantments begin on 8/20! 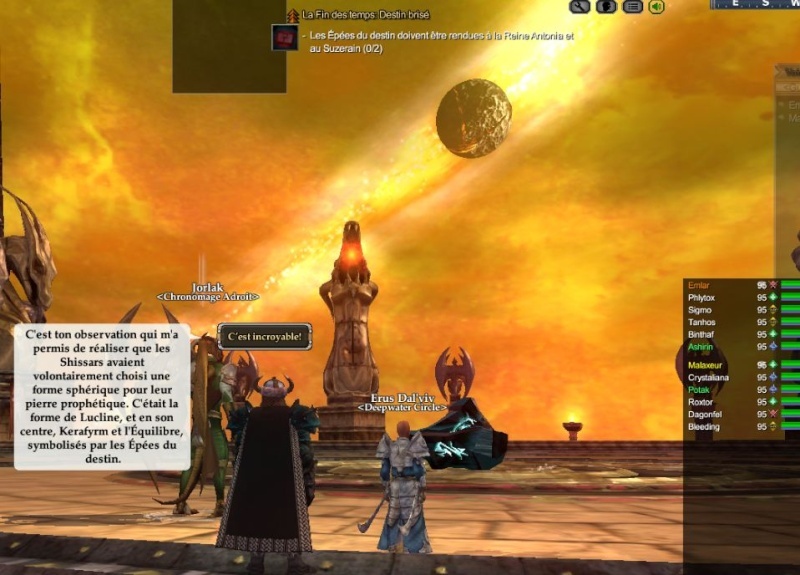 With Kerafyrm’s defeat, Freeport and Qeynos have finally broken the Awakened siege, and Luclin – now whole – shines brightly in the skies. YouTube integration has been removed due to incompatibilities with Google’s API updates. Options are being explored to return video functionality. Cruor Alluvium’s Watery Grave ability now teleports players to more centered locations, ensuring they will not be as far out of heal range as they previously were. Watery Grave no longer adds the ‘sink like stone’ effect, which may have been causing a minor bug. Cruor Alluvium now adds only 3 stacks of Infudit Aquam per tick, instead of 4. Cruor Alluvium now casts Inudit Aquam at the same speed (10s) throughout the fight. Previously he was casting every 5s up until he started electrifying the water. In the Cruor fight, it should now be very apparent when you are marked with the ability to attack the gazer add. The event hotbar will no longer clear when switching stances as a Beastlord. Age’s End: Pieces Assembled – The door to Queen Antonia’s Chambers is less confusing now. Returning to Jorlak after destroying the generator crystals will now update every raid member’s Age’s End quest or mission and will spawn Roehn Theer and Firiona Vie. Killing Blow will now properly trigger when using an elemental weapon. Tag Team now lasts 8 seconds when cast on someone who is not the brawler. Noxious Symphony now has a base radius of 100 meters. Defender’s Charge now only gets a three times damage mult when in Recklessness and not the enemy’s target. Non-Recklessness tanks will see no difference. Grit no longer applies damage reduction if the guardian is Reckless. Arcane Symphony and Elemental Concerto now have a base radius of 100 meters. Unity now heals the priest and reduces in damage when the wearer is mentored. The Warzone writ Warzone Devastation is now on a 20 minute cooldown, which is removed when hailing the Priest of Discord. Wait what!?! Wow, have got to see this! Closing down all my work apps and logging in, have to see this! I said the same thing when I read this..
Yep confirmed, dragon hordes swooping over Qeynos and Freeport have packed up and left, and as a certain great song goes… “I saw the whole of the moon”. Which may or may not be a hint of what may be to come in at some point down the road. Almost everyone I speak to didn’t enjoy Luclin in EQ1, think I’m one of the rare few it would seem who liked it. We’ll see, may not even ever happen, but that looks like a definite clue to me for next year or beyond. I loved the moon in eq1, in fact everyone I know loved it. So you aren’t alone in your like of it. Did you spend hrs and hrs and hrs camping shards for access to VT? Spend hrs and hrs clearing waves up on waves of mobs in ssra and let us not talk about VT and that with CoH chain going. But then them types of zones built relationships and friendship that has lasted till this day. So while at the time I hated the expansion, it proved worthwhile. WHAT!>!> I and many i have spoken too love Luclin.. kinda helps I played a vah shir… but I digress.. I very EXCITE!! Plus beating on those snakes sounded like little hissing teddie bears!! Luclin was my favorite EQ1 expansion! I guess I need to get myself in some high-end groupage then. Admittedly its part of the game I’ve not really bothered with for a couple of years now. But… isn’t there an island in the expac coming out made out of a chunk of Luclin? o.0 So confused right now. XD Maybe I heard that wrong during the live feed of the keynote. Yes you are right Griffon, I heard one of the devs say that too, wasn’t it Deathweave Isle.? Hmmm interesting for sure. 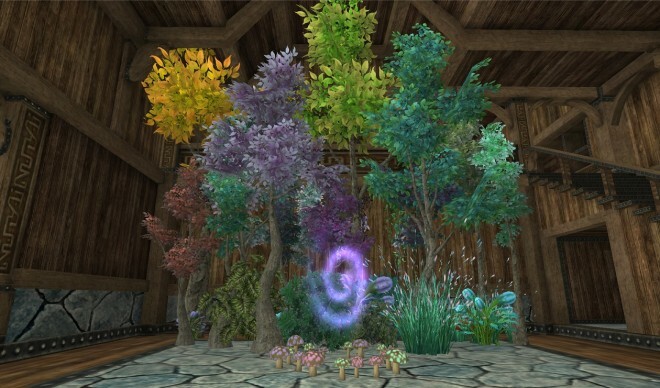 I don’t think you heard wrong there is a clearly a video of the-grey-protected-now-mixed-with-temple-of-akheva ssratemple as a zone.. described in the powerpoint as a the once-shissar-inhabited–fallen-upsidedown to norrath. I hope you won’t see it as a spoiler, but here’s a picture of Luclin reunified just after Kerafyrm defeat. I just went out into Antonica, and saw the rebuilt moon. There’s still some deep scars, and what I’ve always assumed is the debris trail from the shattering is still there. I have to get back up there EQ2 stylee some day! Maybe with this new terrain editor helping them speed up the art creation process we might see something quite special if we do eventually go back there. Instant ear bug for me now. Damn yous!